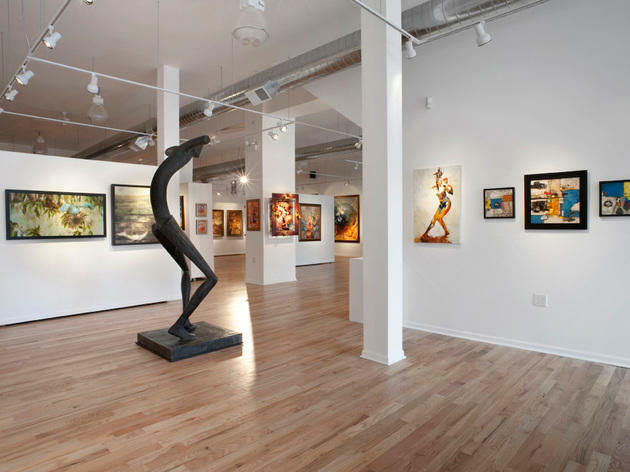 Owned and operated by Chicago artist Laura Lee Junge and partner Chris Jackson, this Wicker Park gallery displays Junge's own work in addition to exhibitions from contemporary artists. The general public can visit the gallery free of charge seven days a week, while patrons can take home prints and reproductions that are produced (and framed) on site. El stop: Blue to Damen. Bus: 9, 50, 56, 70, 72. 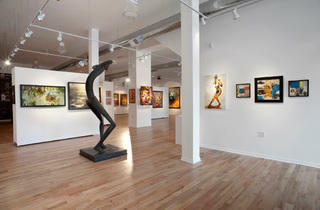 Jackson Junge gallery is a great place to have events. Whether it is for an art exhibit, an open mic, a wedding or a social networking get together the gallery is always ready. The beautiful art amplifies the experience even more so. The high ceiling and spacious room makes it feel very upscale in a good way. This gallery is beautiful and spacious. They also host events, which are really nice. I get to drink wine and walk around admiring all the art works on display. The other thing I love is that they always make you feel welcomed and loved. Definitely a place to go, admire and shop.